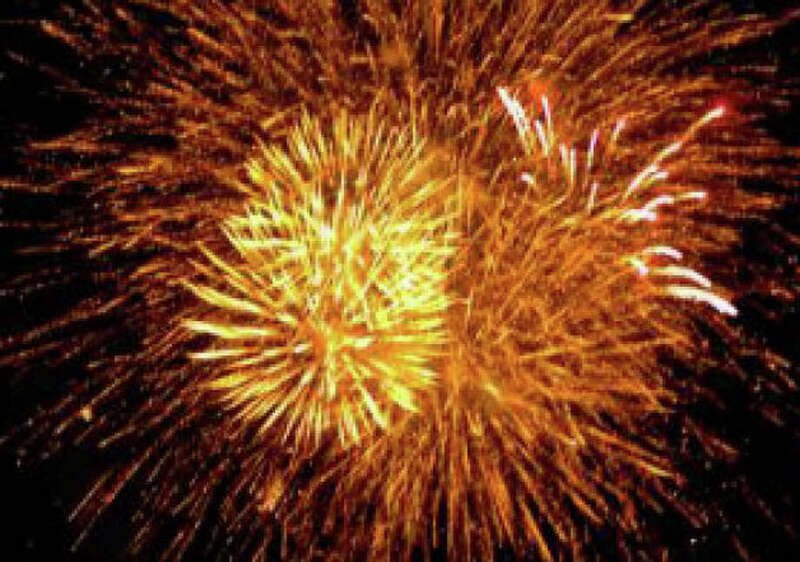 Fireworks are the traditional Fairfield way to cap Independence Day observances, and patriotic pyrotechnics will light up the skies over the shoreline Wednesday, July 4, shortly after dusk (or about 9 p.m.). The rain date is Thursday, July 5 -- same place and time. However, the weather forecast for July 4 could dampen holiday spirits. As of Tuesday evening, the National Weather Service forecast for Wednesday predicts scattered showers and thunderstorms throughout the day and evening. The sky show will be displayed directly over Jennings and Penfield beaches, but is visible from most parts of the town's other Long Island Sound beaches. In advance of the fireworks, the Atwood Oldies Band will perform from 5 to 7 p.m. at Jennings Beach. And at the Penfield Pavilion, the John Stevens Doubleshot Band will play from 7 to 9 p.m.
Police say the following streets will be posted with "No Parking, Tow-Away" signs in advance of the fireworks. Any vehicles parked in the designated tow zone areas after 6 p.m. Wednesday will be towed at the owner's expense to ensure access to the beaches by emergency vehicles during the fireworks. The parking ban will be posted on these streets: Reef Road, Penfield Road, Lalley Boulevard, Rowland Road, One Rod Highway, Edwards Street, South Benson Road and sections of Fairfield Beach Road. At approximately 9:15 p.m., police said, streets leading from the beach area will be "one way" to the Post Road and no traffic will be permitted to go south to the beaches until fireworks traffic has cleared. No fireworks of any kind, including sparklers, are allowed on any of the beaches or in parking areas. Alcohol is also not permitted on the beaches, police said.